Attalus Communications is committed to the success of our clients. We design innovative communication solutions for your Business. 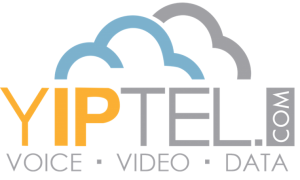 We implement and support several Telecommunications and Contact Center product lines. These products were selected after an exhaustive evaluation of the industry, its trends, and its future. They were selected for their functionality, reliability, and flexibility. Interactive Intelligence is a global leader of Premise and cloud services for customer engagement, communications and collaboration designed to help businesses worldwide improve service, increase productivity and reduce costs. Interactive Intelligence is a publicly traded company based in Indianapolis, Indiana. 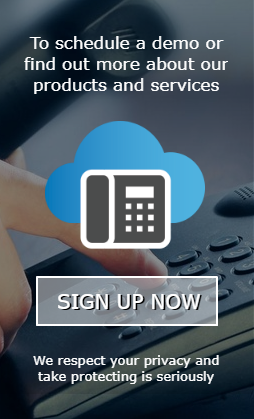 Estech Systems, Inc. (ESI) delivers high-performance business phone systems and cloud services that are simple, intuitive and uniquely integrated. ESI provides superior technical support and cloud services are available in multiple deployment models. Founding in 1987, the company has sold more than 350,000 systems. Through its network of certified ESI resellers, the company provides end-to-end solutions that give businesses the power to choose the features that want and need. ESI is a privately held corporation headquartered in Plano, Texas. We are also a reseller of Adtran products, Plantronics headsets, and of various carriers providing SIP trunks, traditional telephone lines, internet service and MPLS. We also provide cabling and paging services. Enterprise-Grade Features at an SMB Price Winner of the Frost & Sullivan’s Customer Value Leadership Award. Allworx is an all-in-one VoIP communication platform that helps SMBs create a customized business phone system at an affordable price. Your unique needs require a tailored solution. For over 40 years, YipTel has been the enterprise communication partner that provides customized connections for voice, video, data and internet. Through a selection of easy-to-use tools, we provide reliable communication for your company. Estech Systems, Inc. (ESI) designs, manufactures and markets advanced, highly featured, business communications systems for small and mid-size companies. 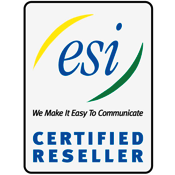 ESI’s products are sold and supported directly through a carefully selected, nationwide network of factory-trained Resellers. ESI has enjoyed remarkable growth and uninterrupted profitability since its inception in 1987. To date, the company has built and shipped over 350,000 systems. ESI is a privately held corporation headquartered in Plano, Texas. ESI and its products have been embraced by its customers since it introduced award-winning voice mail and telephone systems to the telecommunications industry more than a decade ago. ESI was the first manufacturer to build a truly “combined” telephone and voice mail system and has numerous patents granted on the unique design and features. ESI is highly regarded for the reliability of its products and for supporting unique, real-world applications that provide practical and effective features. Progressive vision, leading-edge technology, legendary reliability and award-winning products define ESI.